The Digital News Report 2015 reveals new insights about digital news consumption based on a representative survey of online news consumers conducted by YouGov. The 2015 report includes 12 countries; the UK, US, Germany, France, Ireland, Italy, Spain, Denmark, Finland, Urban Brazil, Japan and Australia. The 2015 report contains unique data and analysis about the move to mobile, the rise of video, the growth of social discovery and the prospects for native advertising. Along with analysis from Emily Bell on the role of digital intermediaries; BBC Director of News, James Harding on fragmentation of news consumption; and Robert G. Picard on the business outlook for paid content. Visit our Digital News Report Website where you can access data, interactive charts and analysis - as well as download key resources. 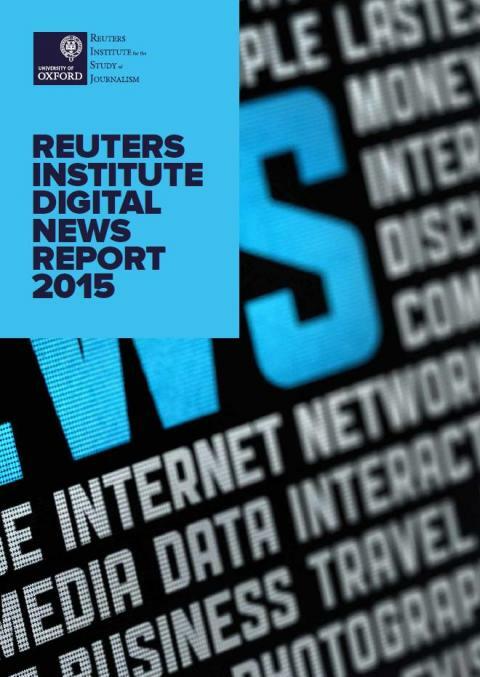 To purchase a hard copy of the Digital News Report 2015 please visit the University of Oxford Online Shop. Political Scandals in Finland and in the UK: How Do the Media Cultures Differ?